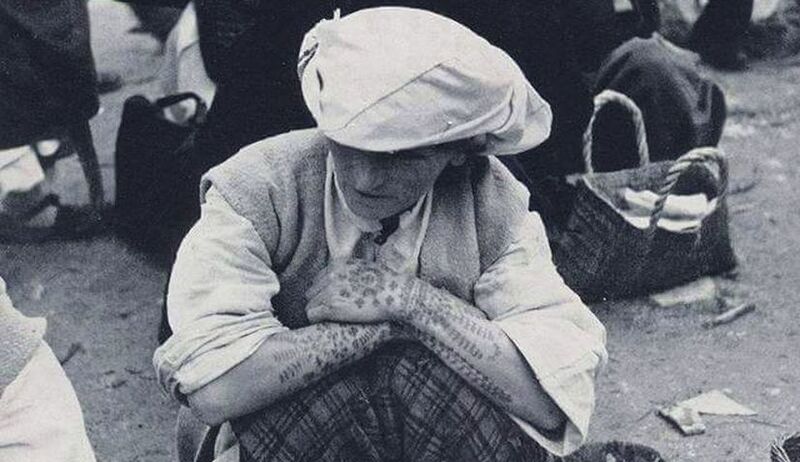 A tattoo as a tradition probably wouldn´t be the first thing to cross one´s mind when thinking about Croatians. Still, it is. 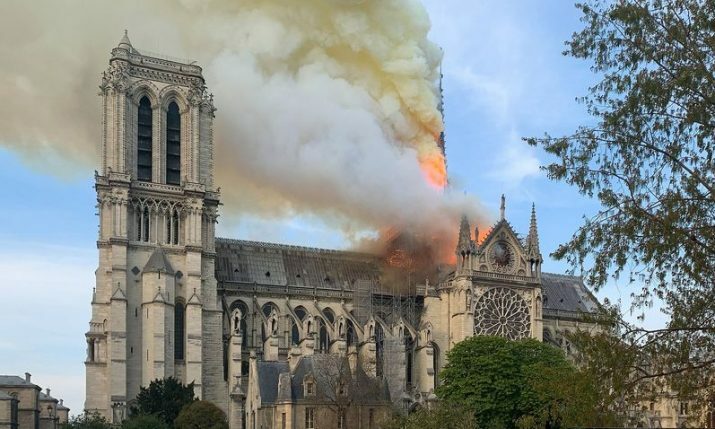 Traditional symbols are connected to Christianity and the custom itself is even older and can be traced centuries back in history around these areas. 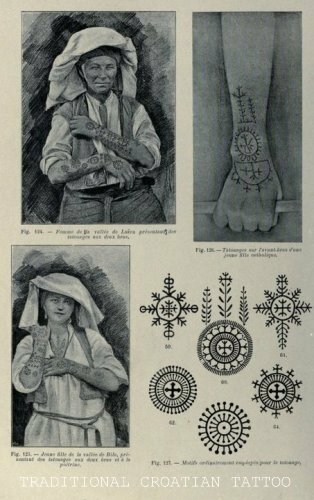 A thousand years long tradition of tattooing their hands, to Croat women in Bosnia and Herzegovina still brings back memories. They had been tattooed as little girls, some obliged to and some expressing their wish. This tradition originates from the places once occupied by the Turks in the time of the Ottoman Empire. Its purpose was to prevent the kidnapping of young (Christian) women and their conversion to Islam. Still, the idea of writings and symbols on the body originates from an older period. 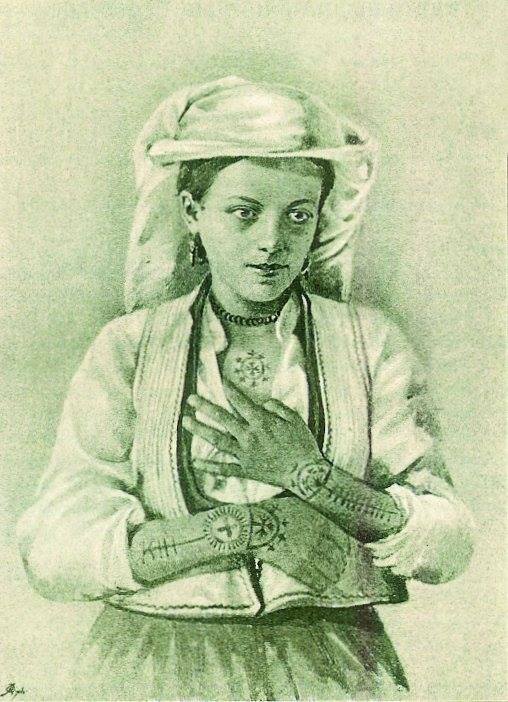 According to the writings of an archeologist and a custodian of the National Museum in Sarajevo, Ćiro Truhelka, who was researching the pre-Ottoman Bosnia and Herzegovina in the 19th century, the origins of this custom could be in the Illyrian and Celtic tribes and their rituals around these areas. Even the simple tattooing needles were found in tombs of those days. The custom probably survived the coming centuries but was mostly revived during the reign and fear of the Ottoman Empire, when Christian symbols were used for protection against foreign forces. 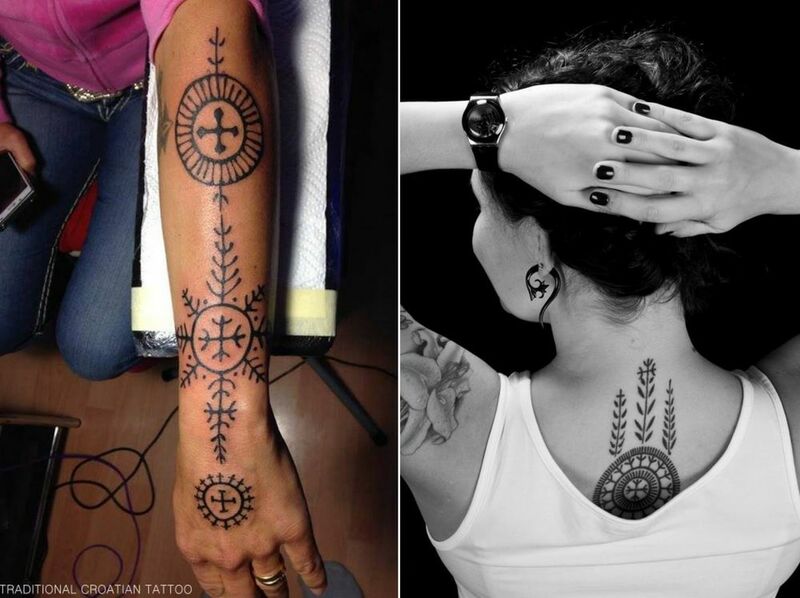 Traditional symbols are crosses, sometimes tattooed around the women´s wrists so that they looked like bracelets. The cross also has its variations with a sort of small pine trees. 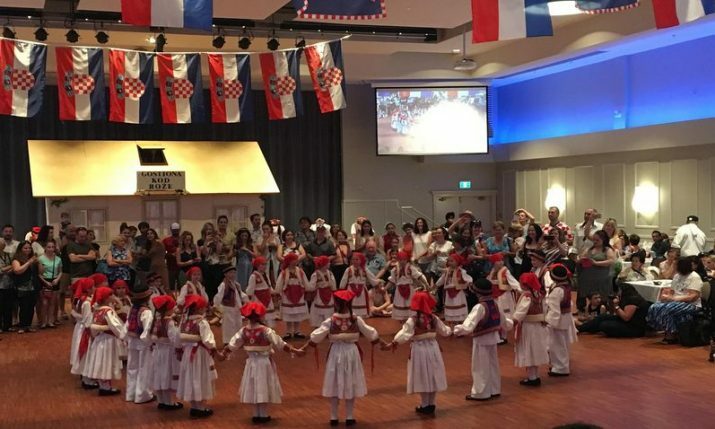 It also has non-Christian motives, but everyday motives like the circles, originating from the sort of a circular dance in the villages meaning a union and collectiveness. The lines around the circles could be associated with mills as an inherent part of the life. 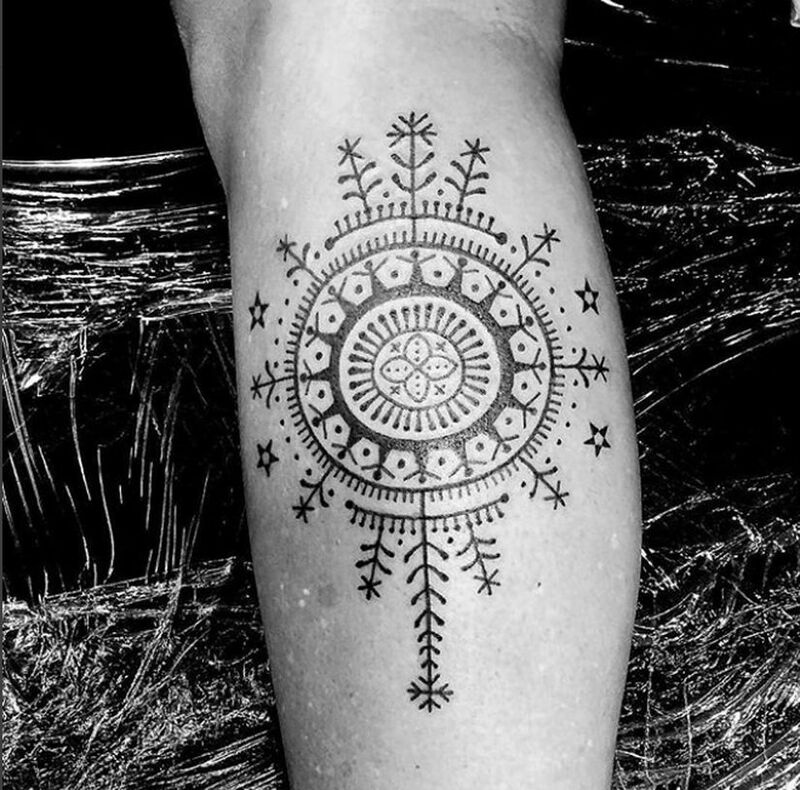 The lines also represented small branches and together with a circle form a special design called “Jelica” ( girls name and also a small pine tree). This means that two sorts of symbols were mixed, one originating from nature and family in Illyrian times, and the other, with Christian motives, was added later and was given a new meaning. The most resembling symbols can also be found on the old tombstones around the villages in Bosnia and Herzegovina. Still, in those hard times of the Ottoman invasions, between the 15th and the 19th century, the attention wasn’t merely to ornament the body, but to protect women from being kidnapped or in that case to help them remember their real Christian faith if forced to convert. Kids, and usually girls, were being tattooed between the age of 12 and 16 as a sort of the initiation, according to historians of these areas. Still, some were tattooed even younger, at the age of 6. 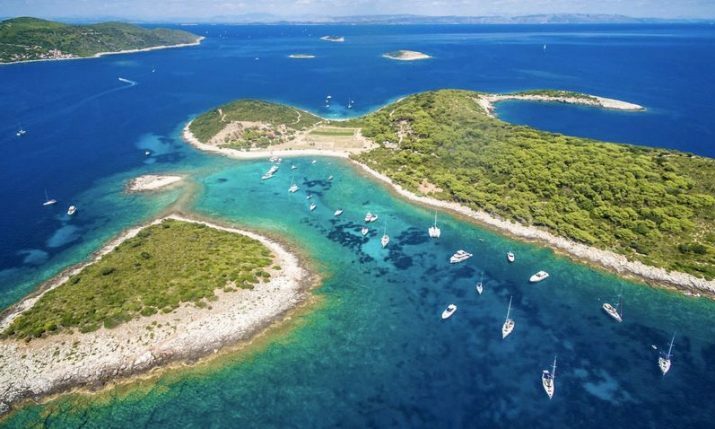 Timing is also connected to the 19th of March, a holiday of St. Joseph who is the official protector of Croats since the 17th century. This day also indicates the beginning of springtime and change of the season. Still, this doesn’t exclude the other dates which were usually around the Christian or mainly Catholic holidays such as Good Friday. 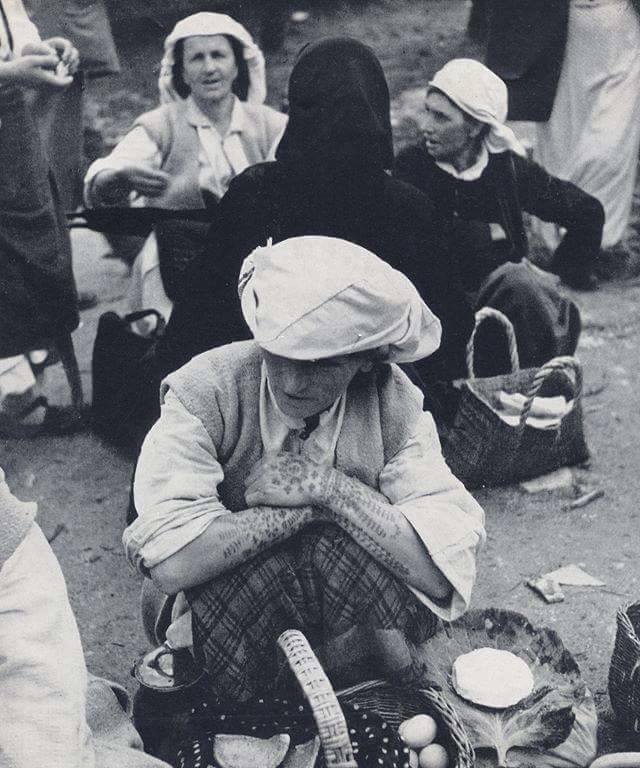 The ceremony of tattooing was also called „sicanje“ or „bocanje“. It was usually done by older women applying a needle and a mixture of charcoal or gunpowder and honey or milk, usually after the symbol had been written on the body. 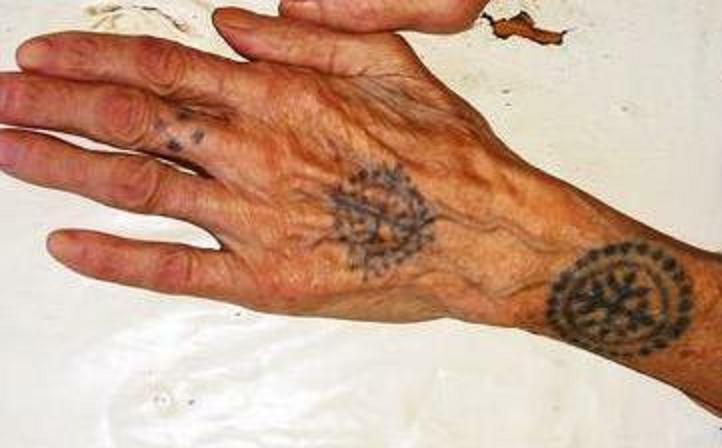 The ink covered mainly hands or surrounding the wrist, as well as fingers, forearm and sometimes upper arm and chest. Interestingly, a very commonplace was also on the forehead. It was a painful procedure according to the older women today, but they say mostly it was worth the pain. The next day or in a week the place of the tattoo would heel, was washed and the ink stayed in (on) the skin. 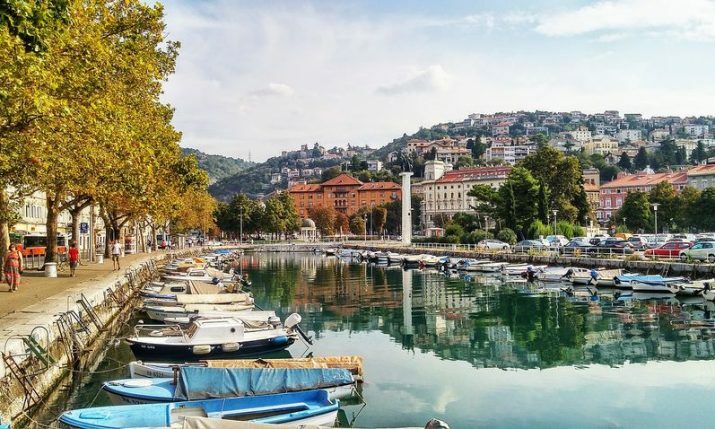 The custom was practiced in central and southern Bosnia, around the town of Jajce, as well as Rama, Uskoplje, Kupres and Kraljeva Sutjeska, and in some places in the inside of the southern Dalmacija, between Sinj and Šibenik and in Dubrovnik-Neretva County. 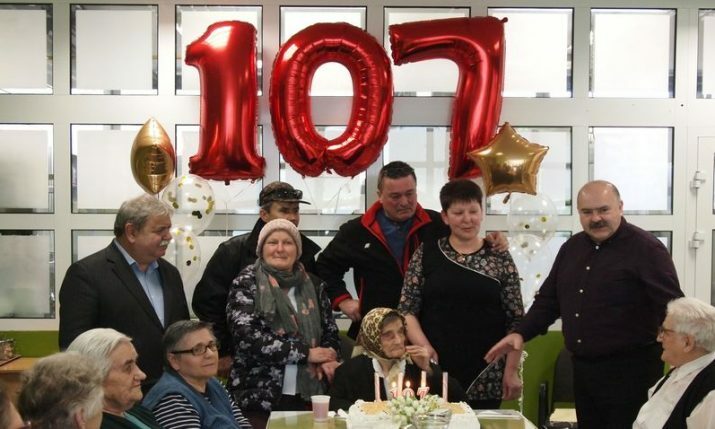 It was mainly brought by deserters who fled during the war from Bosnia and Herzegovina while it was under Turkish occupations. 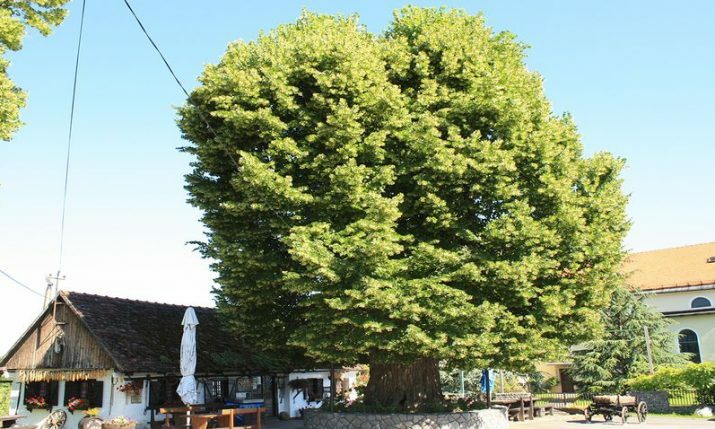 This was still very much alive in the central Bosnia until the late 50s. After the Second World War, it was forbidden because of the Yugoslav relation towards the religion, but it didn’t mean it was forever gone. Today it stays only in fragments and passes on the younger generations in its new form. New geometrical design mixed with traditional symbols of a Christian cross as well as its true value assures that the custom is passed on. Whether for purely aesthetical, religious or ideological reasons, it still means this tradition is kept here and even all over the world. 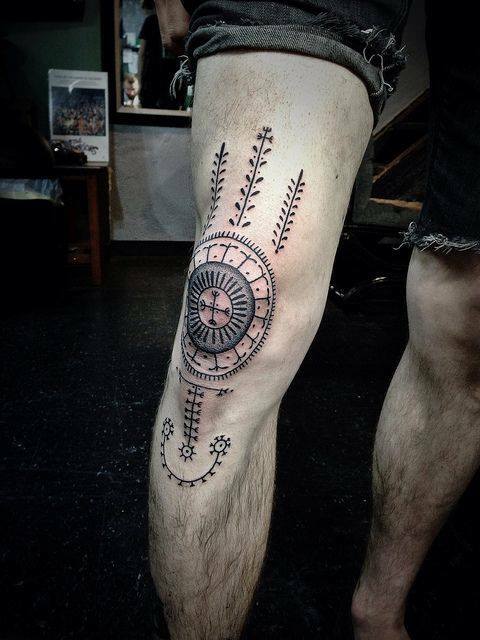 Through a Facebook page named Traditional Croatian Tattoo and thanks to its founders who started exploring this custom, new forms of the symbols can be seen almost every day. People all over the world show their designs based on this old and unique tradition.